KENT Alps+ Air Purifier- What Makes it Different from Other Options? KENT Alps+ Review- What Makes it One of the Most Sought-After Air Purifiers in India? 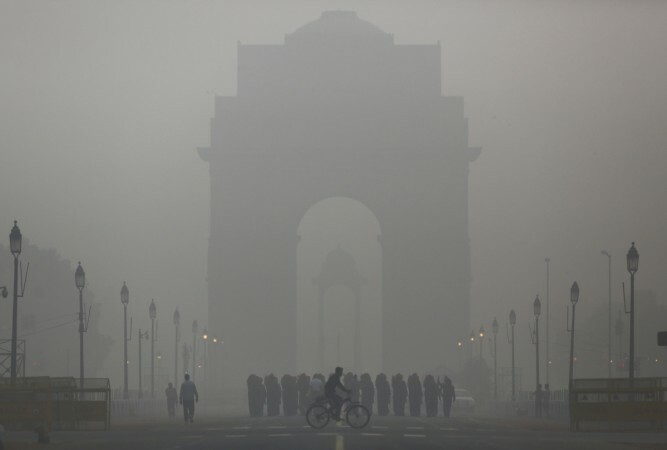 Air pollution has become a rising concern in India. With an increasing number deaths and health problems, it has become necessary to take the right steps to prevent air pollution. In addition to being concerned about outdoor pollution, indoor air pollution is also a serious concern. Allergies, breathing problems and asthma are some of the serious health problems caused by indoor air pollution. The only way to overcome these problems is by installing an air purifier. Among the different air purifiers available in India, KENT Alps+ has become one of the most sought-after products. 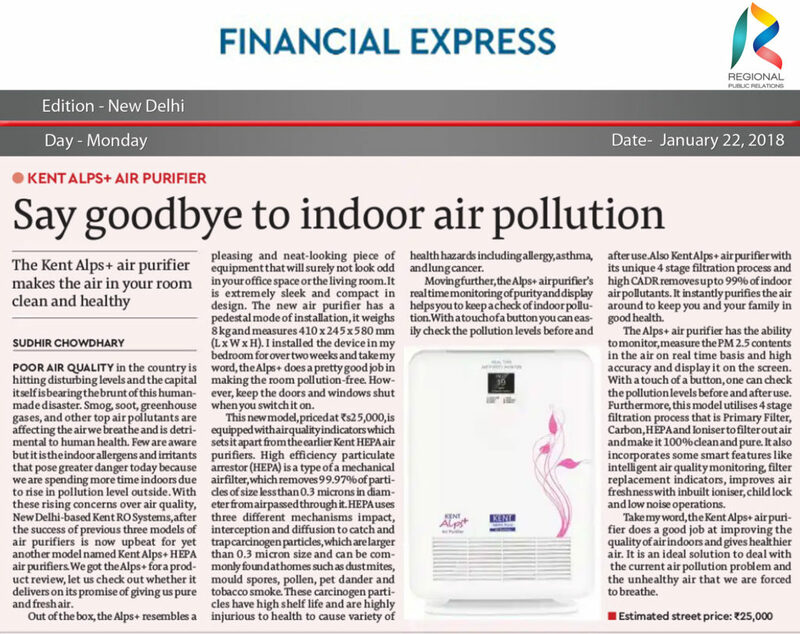 The air purifier received a very positive review from Financial Express, which is one of the famous business dailies in India. So, if you too are planning to buy an air purifier, here is a detailed review about KENT Alps+ Air Purifier. One of the main features that makes KENT Alps+ Air purifier different is the presence of HEPA dust collection technology. HEPA filters present in the air purifier remove 99.97% particles present in the indoor air. The HEPA filters can trap pollutants that are less than 0.3 microns in size. The air purifier uses three stage mechanism of Impact, interception and diffusion to catch and trap the carcinogen agents present in the indoor air. These carcinogen agents, which mainly consist of dust mites, pollen, mold spores and pet dander have a high shelf life and lead a variety of health hazards. One of the unique features of KENT Alps+ Air Purifier is its real time air quality monitor and also displays PM 2.5 in the indoor air. KENT Alps+ Air Purifier comes with an advanced laser scattering technique, which helps in detecting PM 2.5 in your home on a real time basis. The digital display screen on the air purifier indicates the density of PM 2.5 in the room. One of the important factors that you need to consider when buying an air purifier is the clean air delivery rate (CADR). 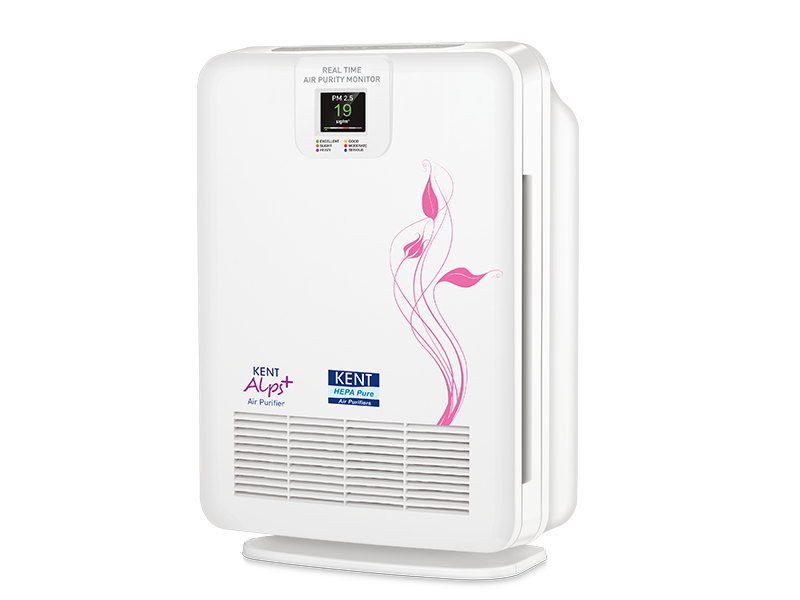 KENT Alps+ Air Purifier has a high CADR which is another unique feature of the product. The air purifier has a high CADR of 400m3/hr. Higher the CADR of the air purifier, better is the air quality you receive. The high CADR makes it efficient to remove some of the harmful indoor pollutants such as dust, pollen and smoke. Another unique feature of KENT Alps+ Air Purifier is its noise free operation. The air purifier makes less than 54 decibels noise making it convenient to use the air purifier. This feature makes it easy to use the air purifier in your kid’s room or when you are sleeping. KENT Alps+ also comes with an inbuilt sensor and air quality indicator, which display the indoor air quality. The air purifier uses three different colors to indicate the air quality in a room. Blue indicates excellent air quality, pink indicates good air quality and red indicates poor air quality in a room. Those were some of the unique features of KENT Alps+ Air Purifier which makes it one of the best-selling products in India. 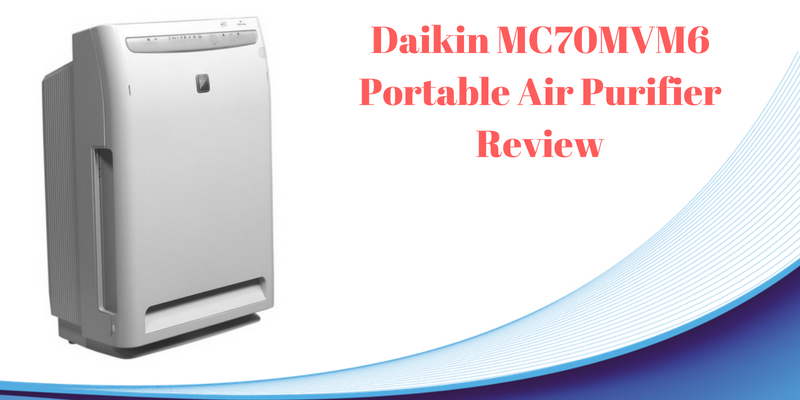 The compact design, light weight and pedestal design makes it easy to use the air purifier without any hassles.